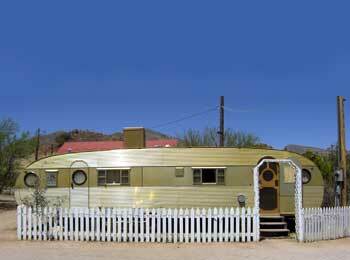 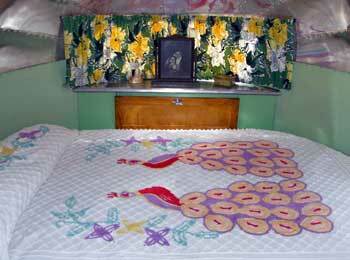 Today we virtually visit Bisbee, Arizona at another Airstream/Vintage trailer park, The Shady Dell where “Mid-century Modernism is alive and well”. 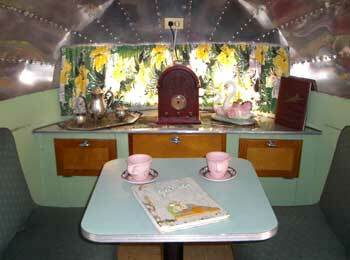 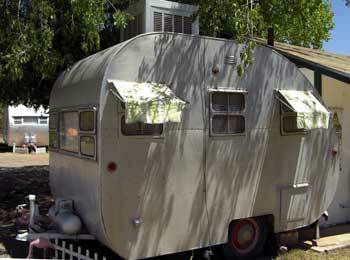 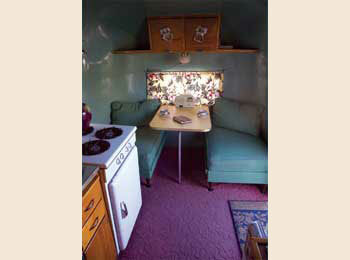 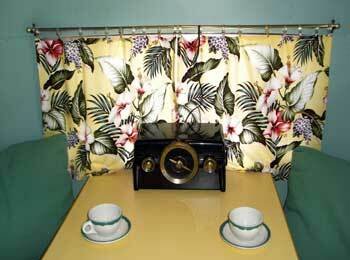 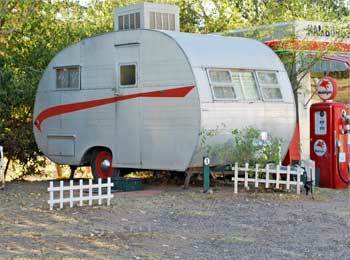 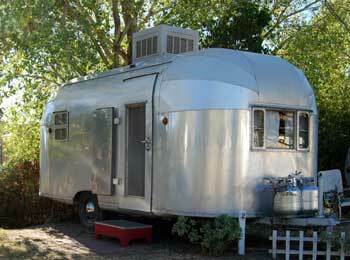 There are eleven vintage trailers to choose from for your 1950’s experience! 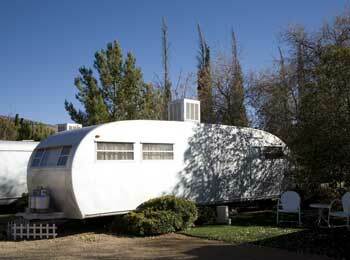 Since 1927, The Shady Dell has been welcoming travelers who are looking for family getaways and exploration. 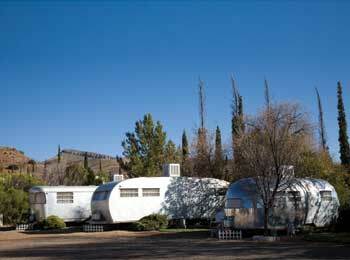 Located on Route 80, the brother to the famous Route 66, it’s the perfect location to stop for either full RV hookups or to rent one of the funky, retro trailers. 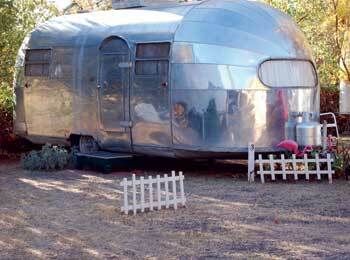 Don’t forget to eat at Dot’s Diner which is only steps from your trailer. 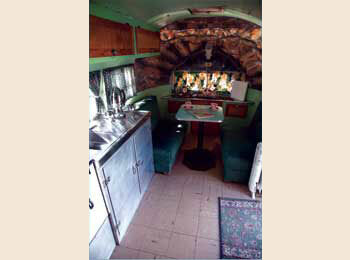 Take a step back in time and have a ball!